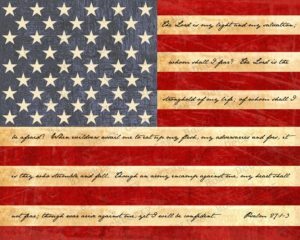 The Camp Constitution mission is to enhance our understanding of the Judeo-Christian moral principles that underlie our American heritage of courage and ingenuity, which was manifested in the genius of the United States Constitution. These Biblical applications to societal living propelled our nation to unprecedented stability, the growth of free enterprise and the spread of prosperity, making us a model for the world. Our mission is to educate, motivate, inspire and activate this and future generations to understand how to patriotically advocate for God’s Will to govern the lives of people everywhere! We want to help find, develop, and train the leaders who’ll fight for freedom everywhere! We hope you will join us, the first step of which is to contact us for more information! The future of freedom for our children and posterity hangs in the balance. Pastor Earl encourages all to consider coming to camp — if only for at least one day or evening to experience the life-changing instruction and camaraderie of Camp Constitution, which offers a variety of individual and family overnight arrangements! Click the link below to watch Pastor Earl’s presentation on the Biblical Basis of the Bill of Rights at Camp Constitution.